Feeding Time cross stitch pattern... 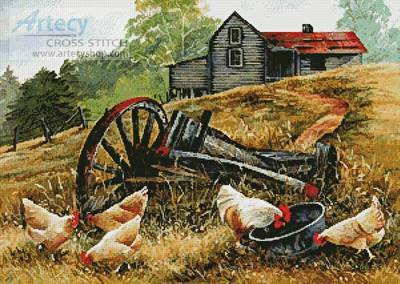 This counted cross stitch pattern of a Farmyard Scene was created from artwork copyright of Val Stokes. Licensed through Porterfield's LLC. Only full cross stitches are used in this pattern.